Because of you, hundreds of homeless in Kansas City will have new pairs of socks for the winter — and we mean hundreds. After tallying up the results from our monthlong Socktober drive, the numbers blew us away. 687 new pairs of socks were donated last month, crushing our 2013 record of 558. 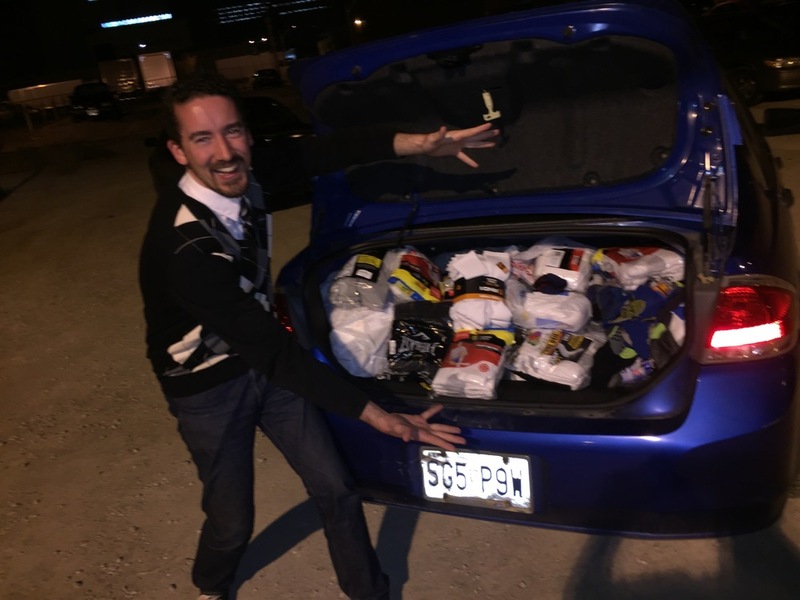 On top of that we had five coats, two blankets, six pieces of clothing and two new pairs of shoes donated, giving a total of 702 total donations for Socktober 2015! We’ll now ship the donations to Morning Glory Ministries and the Sheffield Place to disperse among the needy. Thank you so much to everyone who participated, from individuals and families to the various businesses and organizations. A special thanks to the groups below that held Socktober specific drives over the last four weeks. Again, this would not had been possible if not for your kindness, as well as all our donors.